New Orleans – The First Tee of Greater New Orleans celebrates 15 years of impact in the New Orleans community this month, marking an important milestone for the youth development organization. Since 2005, The First Tee of Greater New Orleans has impacted more than 50,000 young people in the community through its life skills education and character training. Each of these individuals has been introduced to the lifelong sport of golf while learning skills such as goal-setting, managing emotions and resolving conflicts. The program emphasizes Nine Core Values (Honesty, Integrity, Sportsmanship, Respect, Confidence, Responsibility, Perseverance, Courtesy, Judgment) at every level of instruction. The chapter’s success has been a result of many individuals, including over 250 coaches who have been trained to work with the young people, and over 1,000 adults who have donated their time as volunteers over the years. Since opening, The First Tee of Greater New Orleans has expanded its reach to include thirteen golf facilities in Orleans, Jefferson, St. Charles, St. Tammany and Lafourche parishes. The chapter has also helped facilitate the launch of The First Tee National School Program at nearly 60 elementary schools throughout the community, where students are now engaging in a structured golf curriculum that promotes personal character development within their P.E. classes. The First Tee DRIVE has also been introduced at 10 youth-serving locations in partnership with the New Orleans Recreation Department and the Boys & Girls Club. “We couldn’t have had the impact that we’ve achieved if not for the support from our community. The PGA Tour, Fore!Kids Foundation, Laureus Sport for Good Foundation USA, Tolmas Charitable Trust, Walmart, Greater New Orleans Foundation and so many others have been instrumental in allowing us to build our capacity and reach more young people over the past 15 years. We want to thank all of the sponsors and donors that have contributed over the years,” said Executive Director, Chip Patterson. An independent, longitudinal research study confirmed The First Tee’s ability to teach life skills and Nine Core Values to youth participating in the Life Skills Experience, the educational curriculum delivered at The First Tee of Greater New Orleans. The study confirms young people learn and exhibit these life skills on the golf course, as well as in school, at home and other settings. 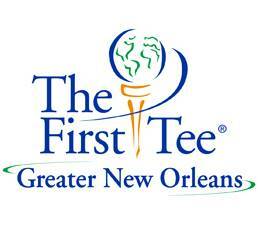 For more information about The First Tee of Greater New Orleans, or to register for spring programs, visit www.thefirstteenola.org or call 504-304-3309.